BSW Energy’s dedicated team of boiler repair engineers are always on hand to provide professional advice and assistance with many issues across all types of central heating and boiler systems. Our experienced engineers are approved to work with all boiler brands, including Glow Worm and Worcester-Bosch, allowing us to provide high quality service to any client across Tunbridge Wells and further afield. Our team of certified engineers carry out boiler installations in Tunbridge Wells for a broad range of both residential and commercial customers. We have many years’ experience working with landlords and developers on new build projects, offering our expertise on rolling out boiler installations across a portfolio of new build properties. A boiler breaking down can be incredibly stressful for families, particularly if that boiler fails during the winter months. As a key component of any household, any length of time suffered without hot water or central heating can lead to increased stress and tension between relations. 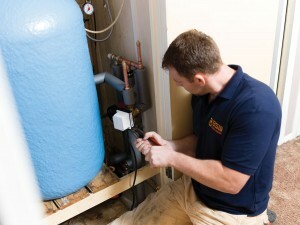 BSW’s boiler repair service provides essential maintenance and repair support, when you need it most. Our team of qualified professional are all fully Gas Safe and APHC accredited, in order to ensure complete satisfaction in every job we undertake. BSW also provide boiler replacements in Tunbridge Wells and the surrounding areas for instances in which the boiler is beyond repair. With over 40 years’ experience in providing first class support and assistance in the repair and maintenance of boilers across Tunbridge Wells and the surrounding areas, BSW take pride in our continued first class service to all our clients. Established in 1962, we have grown exponentially from being a small family run business to one of the largest central heating companies in the South East of England, with over 100 qualified employees. As a family run business we understand the importance of high quality services and value for money and have maintained these values and ethics throughout our growth. The BSW team are also fully accredited to supply and install renewables under the Microgeneration Certification Scheme (MCS) in addition to providing boiler repair services in Tunbridge Wells. We offer a range of renewable schemes including Air Source Heat Pumps, Solar PV panels and Biomass Boilers. Depending on the specific needs of your home, a renewable energy system will benefit both your property and the environment. As seasoned professionals, we are able to advise you on all the different options available for heating your home. Whether you are looking for assistance and professional boiler repairs in your Tunbridge Wells home, you would like advice on a boiler replacement, or you want to find out more about the renewable energy options for your home, contact us today. Simply call us on 01444 831138 to speak to a member of our professional team, or fill out the form below or to the right and we will get back to you. We look forward to hearing from you.